Food ingredient specialist Holista CollTech Ltd (HCT) partners with Kawan Food Bhd. 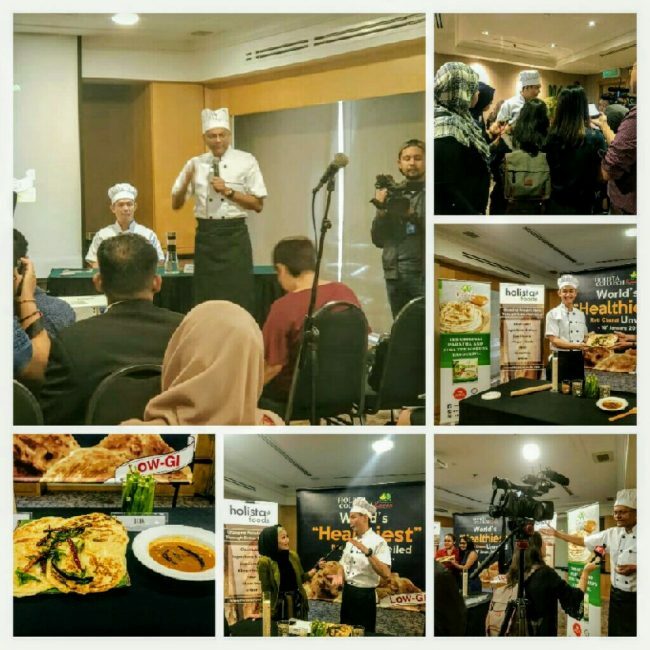 (KAWAN) to launch healthy flatbreads with a low GI for local and international markets. 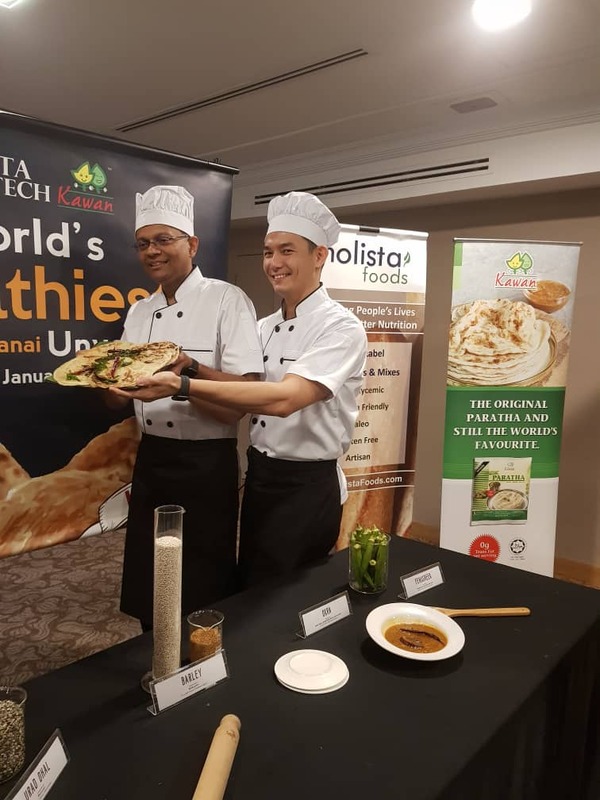 Holista uses its proprietary mix of ingredients “GI Lite” to develop a range of low glycemic index (“low GI”) flatbreads like Roti canai with Kawan Food. Kawan is Malaysia’s largest manufacturer and leading exporter of frozen Asian delicacies. As a result GI Lite sales to Kawan are expected to add up to at least AU$4 million to Holista’s top-line this year. 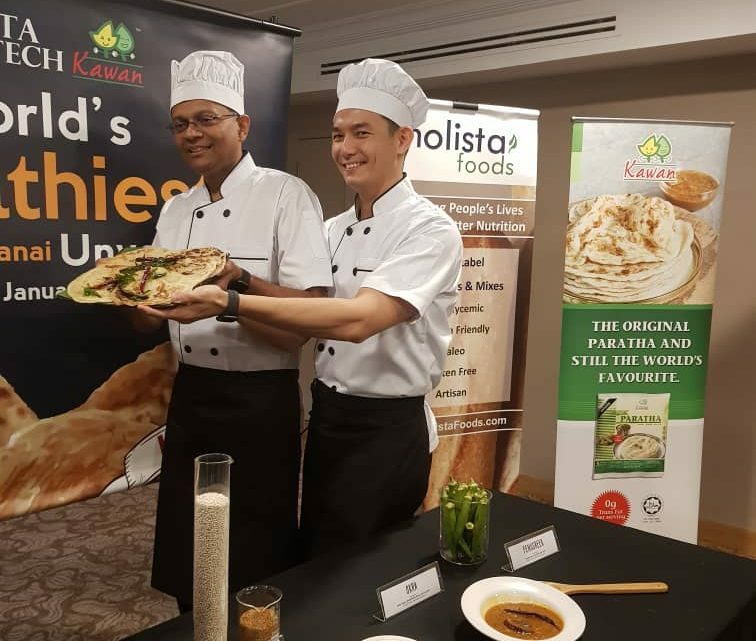 The low-GI roti canai is available in Malaysia by April, while sales to the USA commences in June 2019. Flatbreads were the first baked cereal products consumed by early human society. Major types include roti canai, roti, chapatti, naan and pita. Today, flatbreads are probably the most widely consumed bread category in the world. More than 1.5 billion people consume traditional flatbreads as a staple food. Moreover, many people around the world eat newer forms of products based on this traditional flatbread technology, such as sandwich wraps and pizzas. During the past Holista has successfully conducted laboratory trials with flatbreads. The companies expect to produce roti canai with a GI range being about 40% lower. The current global average reading for flatbreads is approximately 70. Holista’s clean-label formula comprises of a blend of okra, barley, lentils and fenugreek. This formula is already known from Holista Foods low GI spaghetti and Swiss Veripan’s sourdough PANATURA GI. Mixing the “GI Lite” with standard white flour reduces the GI score of the final products significantly. And moreover no compromise on taste or texture. 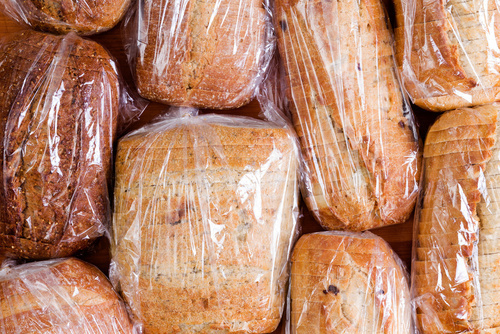 The GI indicates the rate at which foods containing carbohydrates raise human blood sugar levels. A lower the GI score generally indicates a healthier food. A diet high in refined carbohydrates is linked to diabetes, heart disease, obesity, poor energy levels, food cravings and drowsiness. Holista and Kawan will conduct further R&D and product tests at the famous University of Sydney in Australia. Roti canai is a longtime breakfast favorite and staple food in Malaysia. It contains significant amounts of refined carbohydrates and fats. As a result the daily consumption of Roti canai exacerbates the existing problem of obesity in the country. According to the Economic Intelligence Unit, Malaysia is the “fattest” country in Asia with approximately half of the population overweight or obese. Kawan Food Berhad (KAWAN) is a major supplier of frozen ethnic food with main product categories such as bakery, bun, chapatti, dessert, finger food, frozen vegetable, paratha and spring roll pastry. Kawan currently exports to approximately 40 countries including US, Canada, UK, France, Australia and United Arab Emirates (“UAE”). Kawan Food is listed on the Malaysian Stock Exchange since 2005. Holista CollTech Ltd (Holista) is a research-driven biotech company and is the result of the merger of Holista Biotech Sdn Bhd and CollTech Australia Ltd. Headquartered in Perth with extensive operations in Malaysia, Holista is dedicated to delivering first-class natural ingredients and wellness products and leads in research on herbs and food ingredients. Holista is listed on the Australian Stock Exchange (ASX) since 2009.